Janhvi Kapoor will be awarded ‘Arets Stjerneskudd’ or ‘Rising Talent of the Year’ by the Norwegian Consulate General in Mumbai, reports News18. The Dhadak actress will be felicitated on Tuesday (11 December) as part of an evening meant to promote Norwegian cinema and help India and Norway build a stronger relationship pertaining to films. 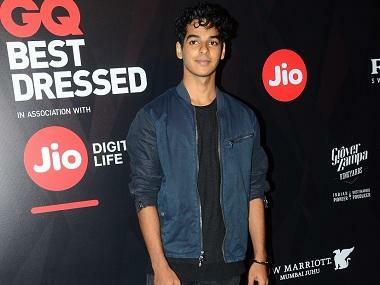 “I made my debut with Dhadak this year. Our film has been seen by audiences across the globe since it released worldwide and many of them including people staying in Norway have their good wishes via social media. This recognition is a pleasant surprise. I am happy to receive this honour and humbled that they chose me,” Janhvi said in a statement. Two Norwegian films — What Will People Say, which is also the country's official selection for Academy Awards 2019, and The King’s Choice — will be screened at the event which is being organised by the governement of Norway. What Will People Say has been shot in India and features several Indian actors. 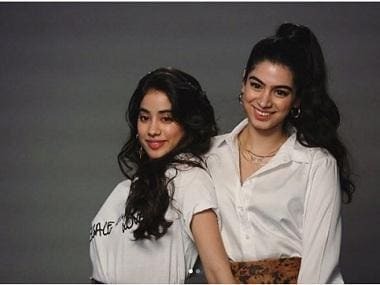 Iram Haq, director of What Will People Say will be present along with several Bollywood personalities, including Jahnvi's father, producer Boney Kapoor. Janhvi's first film saw her opposite Ishaan Khatter and received mixed reviews from the critics.